Welcome to the Erie Canal Discovery Center, a quaint New York museum located in Lockport featuring art and information on the history of the Erie Canal. This 1843 canal stone building sits right next to the historic Flight of Five, as well as Locks 34 and 35. This is one truly entertaining and enjoyable place to learn all about the canal, as well as the building of the locks within the 19th century. Enjoy several different interactive displays from the first floor of the museum and up holding the official City of Lockport Visitor Center, as well as the extremely fun Lock, Stock, and Barrel Museum Shop. 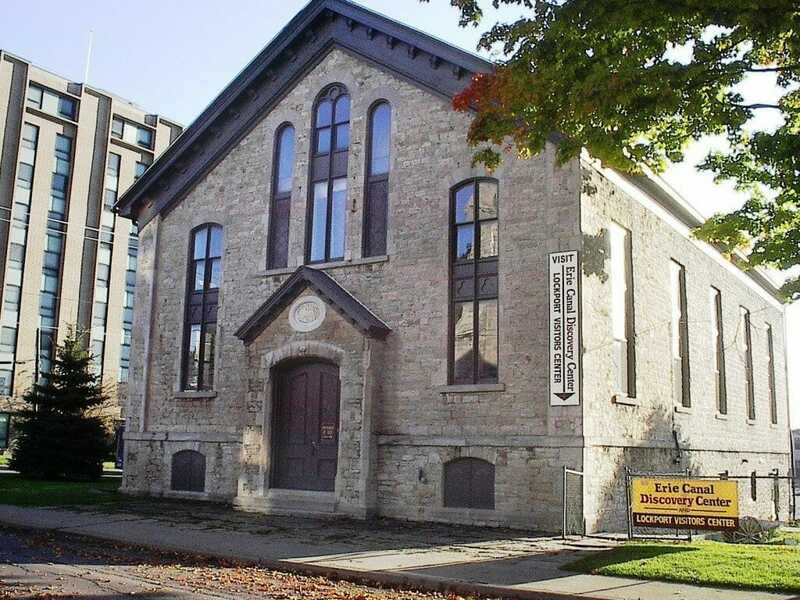 The third floor also holds another site worth seeing, the highly popular Charles Rand Penney historic collection on Niagara. Spend some time on one of the most popular exhibits, a 15-minute film about the building and deep cutting of the locks, as well as the Flight of Five. This film, “Gateways East and West," allows you to board a "packet boat" halfway through the presentation for a simulated night-time ride up through one of the 1820s locks! You will also enjoy such displays as one in which you can maneuver a boat through the locks, view cut bedrock, engage in canal trivia, and even hear personal narrative from some of the builders themselves. After you’ve learned all you can here in the museum head out and actually walk through the monumental engineering feat that is the locks, you’ll definitely want your camera for this! If you happen to work up an appetite there is a small onsite section in the museum in which you can buy snacks and beverages, as well as local homemade candy, jams, jellies, and even salsa!